One of the perks that comes with being a chef who hunts is that I’m sometimes gifted exotic foods. 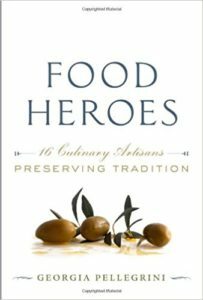 For example, in the past week I was given beet and mint ice cream, a box of olive oil from someone’s farm in Greece, and a bag full of oryx meat that a Texas guy had hunted in a nearby Texas ranch. I was teaching a cooking class and doing a book signing and these were some of the lovely things that people brought with them. I had never tasted oryx before, nor had I ever hunted it, but I can tell you that it is an antelope from Africa that has been introduced to certain parts in the U.S. for game hunting. It can be an expensive thing to hunt oryx, and since I tend to be more of a local woods girl than a big game ranch hunting girl, I had never had the opportunity to hunt oryx. 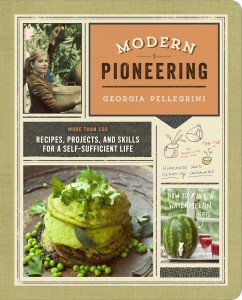 Until, I randomly did a book signing and cooking class and a lovely man brought me some! 3. Even though it was dense it was also tender, and although it was very lean it was very juicy. This was helped by the fact that I was eating the backstraps. 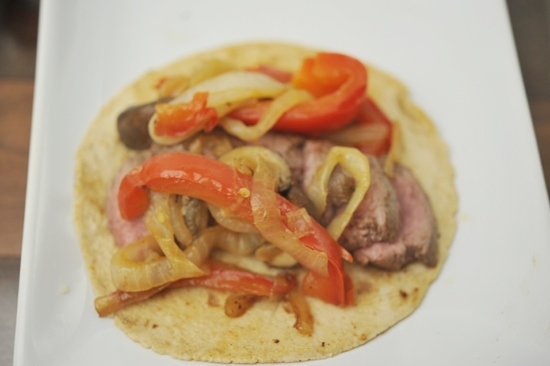 Here is my recipe for oryx fajitas that I put together. 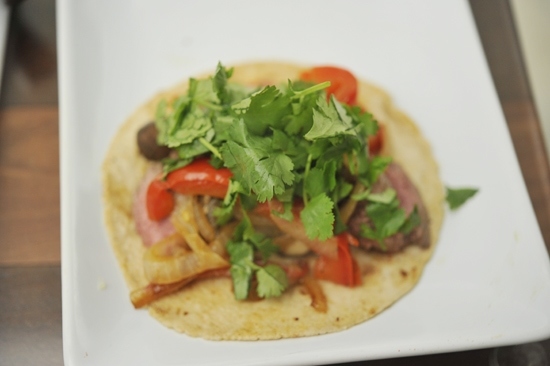 You could easily make this with venison, elk, beef or your other favorite protein. …and oryx! Or some other protein. 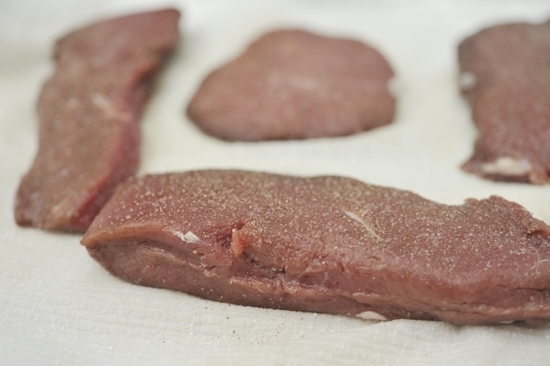 Season your meat well on both sides with salt and pepper. Get two skillets out. 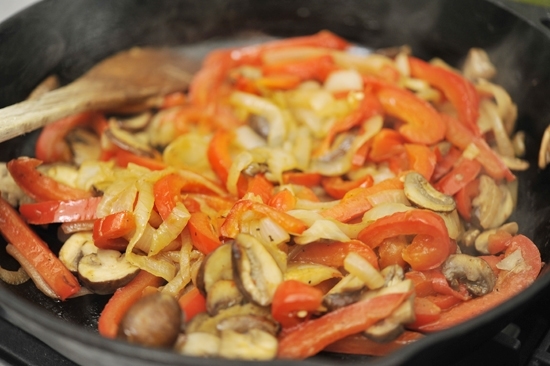 In the first, add the onions, peppers and mushrooms in a bit of oil over high heat. Season well with salt and pepper to help release the juices. 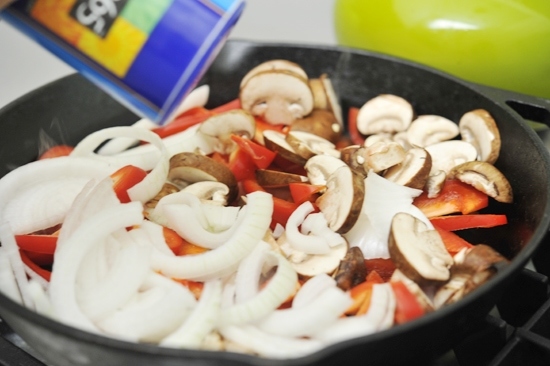 In another skillet, heat some oil over medium-high heat. Sear the oryx on one side for about 3-4 minutes until nicely browned. Turn it over and brown on the other side for 3-4 minutes more. You want a nice pink inside so that you can taste the true flavor of the meat. 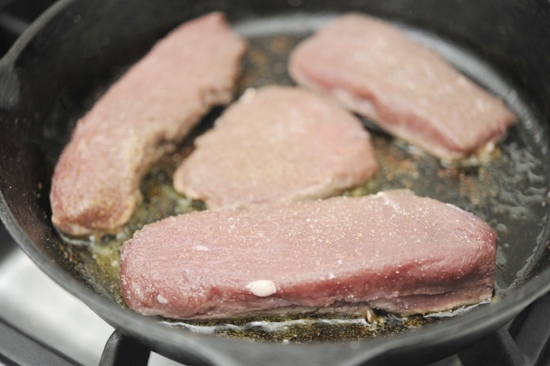 Remove the meat from the pan and let it rest for at least 5 minutes to help retain the juices. 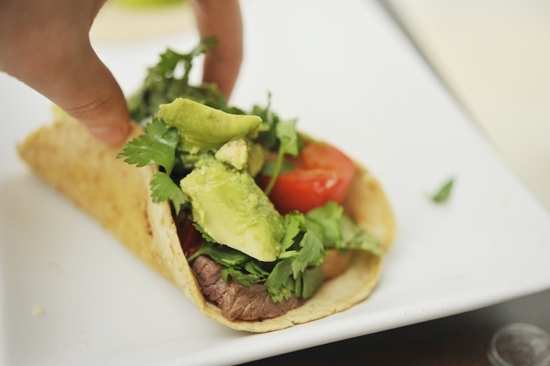 Slice it up into nice pieces, whatever thickness you’d like for your fajitas. 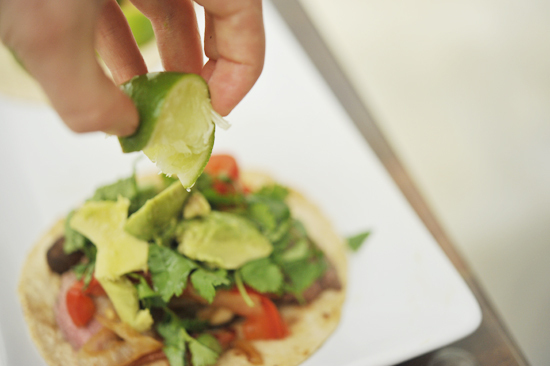 Also chop up the cilantro and slice the avocado. By now, the veggies should be getting nice and soft. 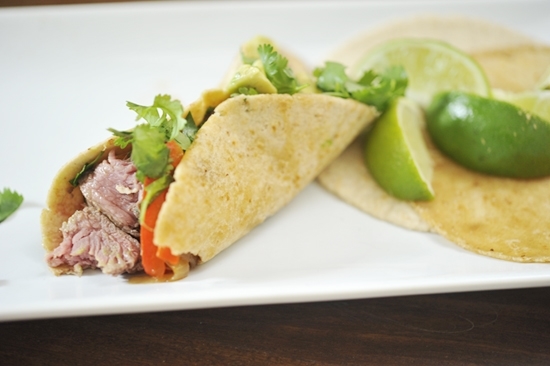 Toss them every so often to help them cook evenly. You want them to be super soft in my opinion which will take 15-20 minutes. 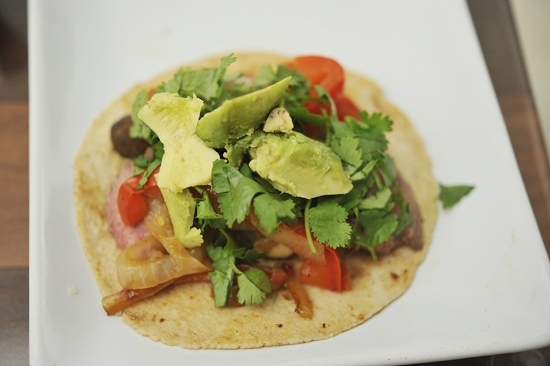 Then you build your fajita. 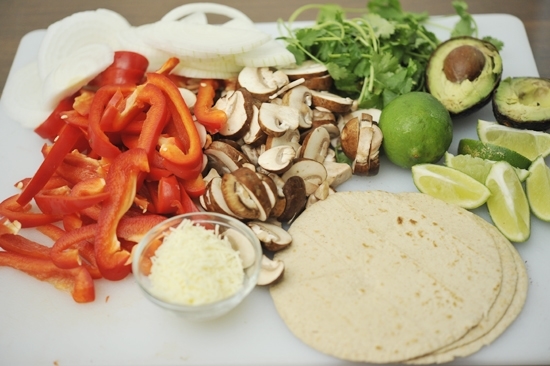 You can lay all the components out on a plate so that you can have a build-your-own-fajita buffet. Fifth, a good dose of lime juice. Pile it all on. 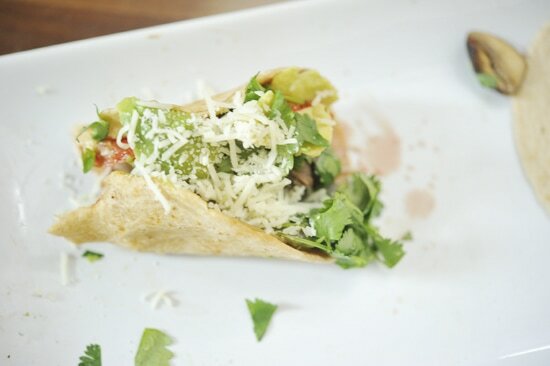 You could even add pico de gallo here, or salsa or whatever else suits your fancy. Take a nice big bite. And don’t get so hungry that you forget the cheese like me! The cheese is necessary. Give this a try guys! 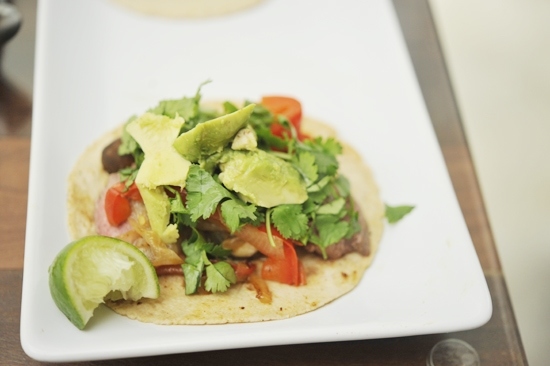 Cinco de Mayo is here and wild game fajitas are a fun way to celebrate. Heat two large skillets on high heat, and add 3 tablespoons of grape seed oil in each. Place the onions, peppers, and mushrooms in one and the oryx meat in the other. Brown the oryx meat for 3-4 minutes on each side, until no more than medium rare. 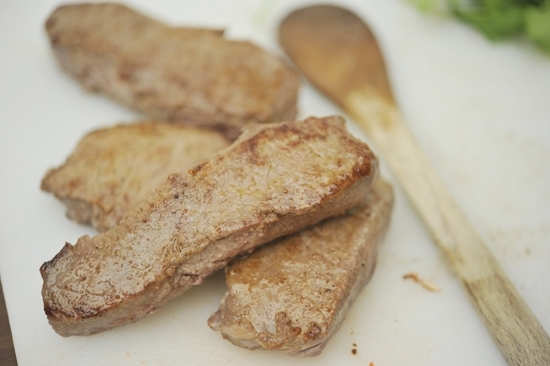 Remove from the heat and let rest on a cutting board for at least 5 minutes so that the juices retreat back into the meat. Season the vegetables with salt and pepper and stir. 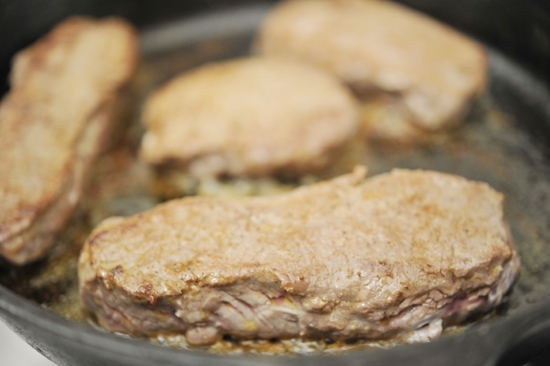 Reduce heat to medium and let them cook for 15-20 minutes until they are completely tender. 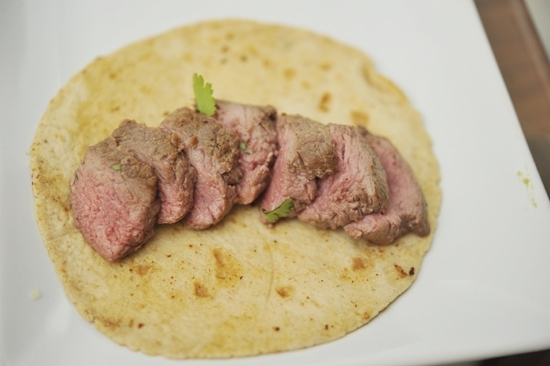 To assemble the fajita, slice the oryx meat into thin slices and layer it on a tortilla. 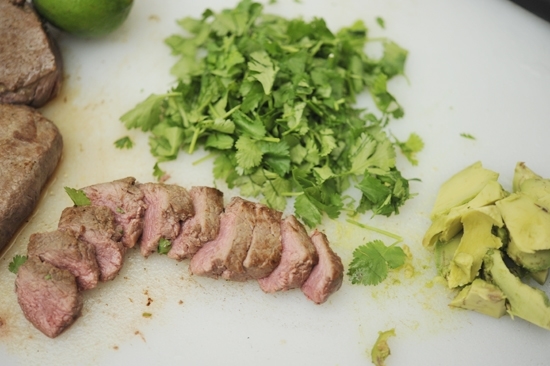 Next add a few tablespoons of the vegetables, cilantro, avocado, cheese and a good dose of lime juice. Enjoy! I tried these with beef and they rawked! Thanks G! Thanks for this inspiration. 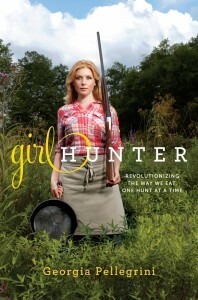 We had so much venison I was losing inspiration for what to do with it all! We made these and everyone was thrilled. We have oryx hunting in southern NM on public lands. You have to be lucky enough to draw a hunting license in the annual lottery or you could pay Ted Turner to hunt on his property. I haven’t won the lottery yet. I actually see them on the side of the road sometimes while driving to and from work.